I recently read Time Between Us by Tamara Ireland Stone and I absolutely loved it. It's being billed as 'The Time Traveller's Wife for teens' and that description fits incredibly well. It's an addictive, emotional, romantic read with that fun element of time travel which brings up a lot of questions to ponder. This thing they do is that they go back in time (within Bennett's lifetime anyway) and they see bands in concert. All those amazing bands that were performing the year Bennett was born or in his toddler years, he's able to go back and visit live. I didn't think much about it while reading the book, so focused and intent was I on the swoony romance of the story, but now that I do have a bit more time ... isn't that a pretty awesome ability to have? If I were more musically minded, I think I'd have a field day on the number of musical acts I'd have like to have seen. But sadly, I'm a musical idiot. The all important question though, is if you could travel back in time (limited only by the date of your own birth!) to see a band or musical artist in concert, what would you do?! I grew up listening to what my dad listened to (50s and 60s music!) and wasn't all that aware of popular music.. but I still loved Green Day. Maybe it was my brother's influence? Time Between Us is VERY good! I really, really must read this because The Time Traveler's Wife is my favourite book! First, thank you for reading, and for your lovely review! 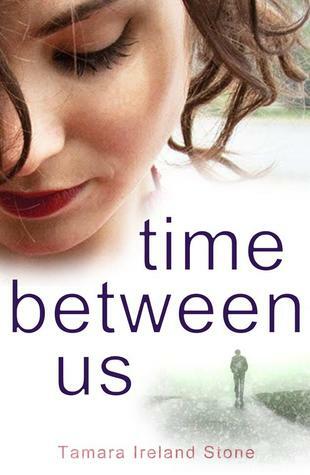 I loved hearing your thoughts about TIME BETWEEN US. The original inspiration for this story came from a conversation I had with my husband. I'd said that if I could time travel, I'd go back and see Green Day when they were playing small clubs in Berkeley. He asked if I'd take him with me. I'd still love to see Green Day, but just for fun, I'll give you another one (I have many). Aww, thank you so much Tamara for commenting :) I LOVE that this is one of the inspirations for the novel, I really do. We all want a Bennett! I think it'd have to be Queen. I'm only a few months younger than you - so Freddy Mercury died when I was much too young to go to concerts, but he was the ultimate showman. Hmm, it's hard for me to pick because a lot of the bands I would pick are from before I was born. I would say Modest Mouse as I was like 4 when they started. Early 90s Radiohead circa The Bends. John Martyn would be awesome too. I think I'd just about make it to very late Queen just before Freddie Mercury died too. What an interesting post! I must say that Queen were my first thought too - how cool would that have been?! I loved that this was something that Bennett and his sister did. I would love to do that if I could go back in time! I still can't decide who I'd want to see though, I love so many amazing bands and artists. Um, all of them?? And if you could time travel, you really could see all of them! Awesome.